Editor's Note: This column was written by Jillian Kiely. President Trump took to Twitter yesterday morning to criticize Attorney General Jeff Sessions and his “weak” positions on various political subjects. Many are speculating that these renewed attacks could lead to Sessions resigning––a welcome change for those concerned with mandatory minimums, public health issues, and justice for the wrongfully-imprisoned. 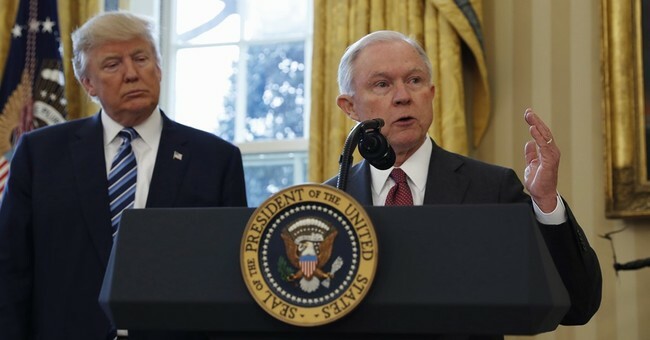 Several months ago, Sessions overturned a more lenient Obama-era policy which instructed prosecutors to avoid bringing charges on certain offenders which would trigger mandatory minimum sentences for minor drug offenses. Critics of Sessions––who have worried that his appointment signals a renewed commitment to the war on drugs––argue that his tough approach mirrors policies from the ‘70s and ‘80s which led to the epidemic of mass incarceration currently plaguing the United States. The term “epidemic” is used purposefully, as many in the public health sector view the mass incarceration of an estimated 2.3 million Americans as a public health issue, rather than simply a criminal justice problem. Missing from this narrative, however, is the plight of the wrongfully-convicted and imprisoned. Not only do the wrongfully-imprisoned experience all of the physical and mental health issues associated with incarceration, they also have unique health challenges related to their unjust imprisonment, and must not be forgotten in discussions of mass incarceration and public health. But, with Sessions in charge, these issues are hardly being discussed. The physical health of inmates in the American prison system is depressingly poor. 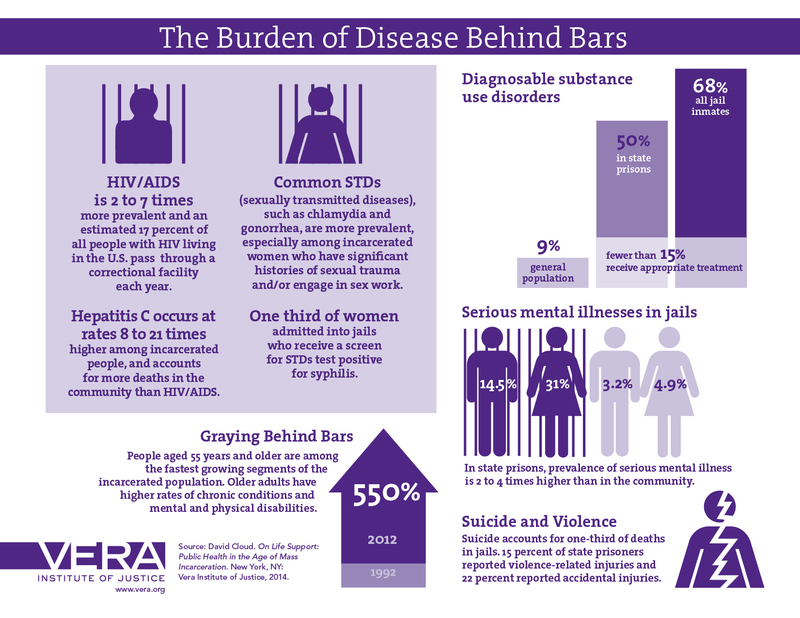 A Vera Institute of Justice report indicates that, compared to the general population, the incarcerated population is at greater risk of infectious diseases such as tuberculosis, HIV, hepatitis C, and other common STIs, such as chlamydia and gonorrhea. One study found that in New York City, the rate of syphilis among incarcerated women is 1,000 times greater than the rate among women outside. Preliminary research indicates that rates of chronic illnesses such as heart disease and diabetes are higher in the incarcerated population. Furthermore, long-term or lifetime incarceration bring with it age-related health issues, like cancer and Alzheimer’s disease, that the prison healthcare system is not equipped to handle adequately or humanely. Although physical health is certainly a concern, these issues are dwarfed by the significant mental health problems present among America’s inmates. A 2006 U.S. Bureau of Justice Statistics report estimated that 56 percent of state prisoners, 45 percent of federal prisoners, and 64 percent of jail inmates have a mental health problem, and that a significant number of inmates abuse drugs and/or alcohol. The conditions of confinement and ever-present violence in prison cause serious psychological trauma. Prisoners live in constant survival mode, resulting in psychological adaptations which can further manifest as PTSD, anxiety, depression, and social isolation, all of which act as barriers to adjusting to life post-incarceration. Without adequate medical treatment for these conditions, individuals often turn to drugs and alcohol as a means of coping with the psychological pain. This contributes to a high rate of relapse among those with pre-existing substance dependence upon release from prison. The wrongfully-convicted not only experience all of the physical and psychological turmoil that accompanies incarceration, but must also deal with the trauma of being deeply wronged by the criminal justice system, a supposedly just institution in a free country that values protecting the innocent. The state steals these individuals’ freedom and sense of security, as well as months or years of life which never can be regained. Compounding these issues are the difficulties exonerees face during reintegration into society, one of which is that community members remain skeptical of their innocence. And contrary to popular belief, exoneree records are not quickly expunged and compensation for being wrongly imprisoned is not guaranteed. Exonerees generally receive less post-incarceration support than parolees, even though they experience the same traumas associated with incarceration. As an Innocence Project report explains, “Exonerees get the worst of both worlds—the stigma of prison, with none of the support services available to those who have served time.” Unless something changes, these problems will continue to persist. After taking away citizens’ basic constitutional and human rights, the least the state––and the Department of Justice––can do is provide adequate healthcare and social support following exoneration. Exonerated individuals have already been wronged once by a system that was supposed to ensure their safety. We must ensure that they are not again wronged by excluding them from a discussion of how we might fix problems in the criminal justice system––problems that they understand better than anyone.